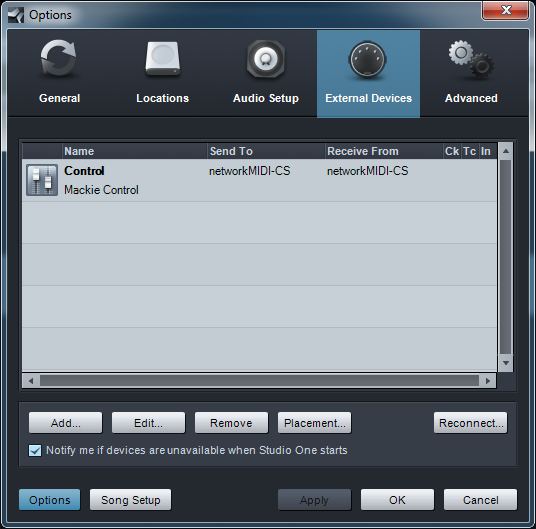 In Studio One go to MIDI | Control Devices. Click the Add button to add a new control surface definition. Select Mackie Control as the control surface type. Select the rtpMIDI network MIDI device that was setup for the control surface as the in and out MIDI ports.